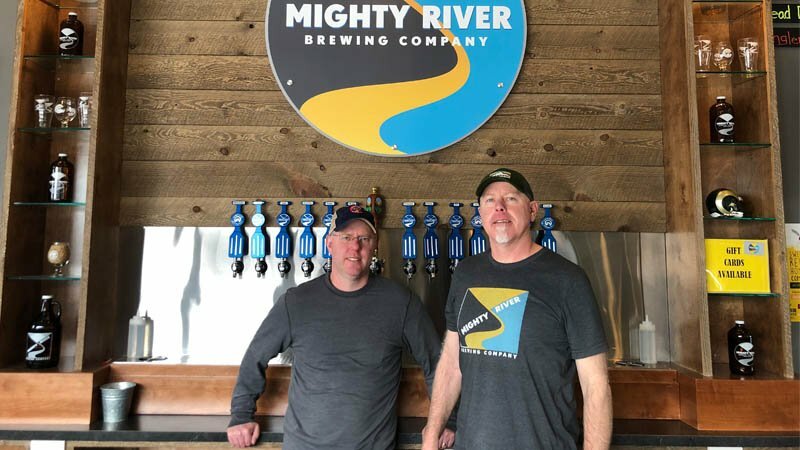 Brothers Dan Miller (left) and Tim Miller, both former superintendents, have found their calling brewing beer at the family-owned Mighty River Brewing Co.
As a former golf course superintendent, Dan Miller is accustomed to the pursuit of perfection. Nowadays, as the owner of Mighty River Brewing Co., in Windsor, Colorado, Miller exhibits the same quest for excellence in brewing the nearly 15 different beers his family-owned and operated business has been churning out since it opened last fall. "There are so many choices out there. You have to make good beer," Miller said. "You have to make stuff that hits the notes people expect. If you make a sour, it better be sour. If you make an IPA, you better have a lot of hops in there. We brew styles that are true to what they are supposed to be. We are trying really hard at making good beer." The construction superintendent at Broadlands Golf Course in Broomfield and later Highland Meadows in Windsor, Miller, 47, was a superintendent for about 20 years in the Fort Collins area, when he decided two years ago to leave one dream behind to chase another. He had fiddled with home brewing while he was a student at Colorado State University, and finally took it up as a serious hobby a little more than a decade ago at the prompting of his brother, Tim, also an ex-greenkeeper with more than two decades of experience. Dan spent the next 10 years honing his craft while still managing playing conditions at Highland Meadows. "I started home brewing in 2006. I did a little in college, but not enough to note," Miller said. "I didn't get serious about it until 2007." Today, Dan and his wife of 18 years, Kristine (pictured together below right), are owners of the Mighty River operation on Fairgrounds Avenue on Windsor's southwest end. And, with brother Tim as head brewmaster, his wife Heather handling social media and father Jim helping with the brewing operation, Mighty River is a true family-owned and run operation. We both needed a change. And the ability to hop in here with Dan on this venture seemed too good to pass up. "We both needed a change. And the ability to hop in here with Dan on this venture seemed too good to pass up," Tim said. "We knew this would never be as stressful or difficult as what we had done our whole lives. It was an opportunity to really change our direction in life and hopefully improve our quality of life. It was something we could do and be passionate about. We needed that. We needed to feed that fire again. And we thought we could make some decent beer for people along the way." Tim, who was a superintendent for the City of Greeley for 23 years, was the first in the family to take up brewing in 1991. "I got everyone in the family into it in 2007 and 2008. Then we all started doing it together," he said. "So, opening a microbrewery has been in the making for some time. We've had a long time to hone our styles and explore other things on a smaller scale. It's worked out great. Except for a few glitches here and there, for not being in the brewing business I think we've been doing pretty well." 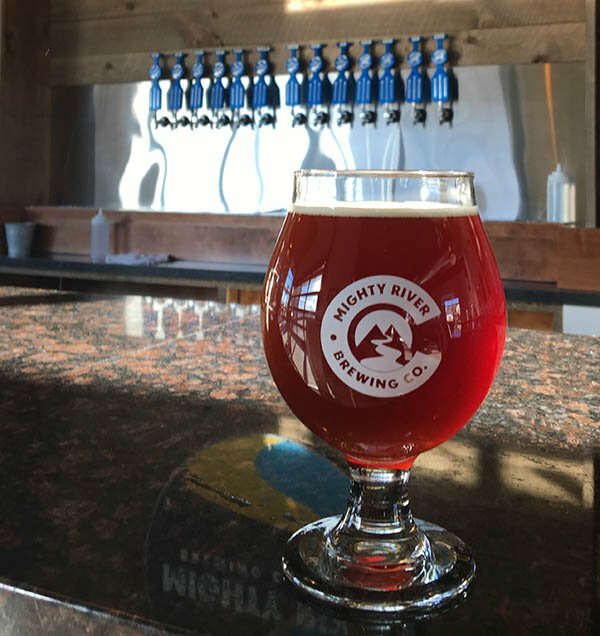 Named for the brothers' affinity for life on the wild and unspoiled Cache La Poudre river that flows through Windsor and Greeley on its way to the South Platte River, Mighty River features 14 beers on tap and a 90-seat taproom with room for 40 more outside on the patio. Their offerings include an assortment of lagers, ales, sours and porters, all of which are available only on tap either on site or at a few other local bars. 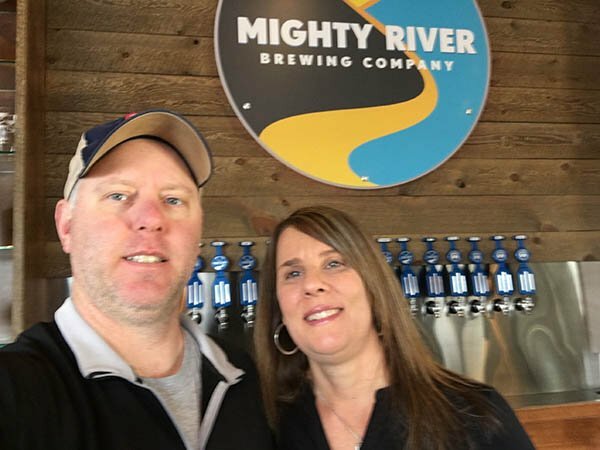 The Millers' experience as golf course superintendents came in handy in the beer business, as they did much of the electrical and plumbing work at Mighty River themselves. "Working as a superintendent prepared us for that," Tim said. "You have to know how to do a little bit of everything as a superintendent." The Millers aren't sure what the future holds for their fledgling business, but they know one thing, after more than two decades in golf, they've finally found their calling. "I think the ultimate goal would be to see where we can take this," Tim said. "At what point do we decide we go big or stay small? I don't think we know the answer to that."